This is another image I worked on this weekend. Personal project, painting style image, a study in ligth and colour. 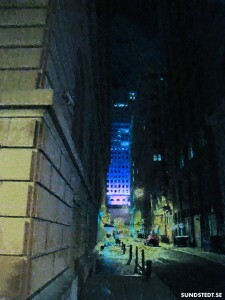 This image is created based on a personal photograph source I took while visiting Philadelphia in summer 2010, US. I wanted to get the colours just right, so a lot of tweaking. 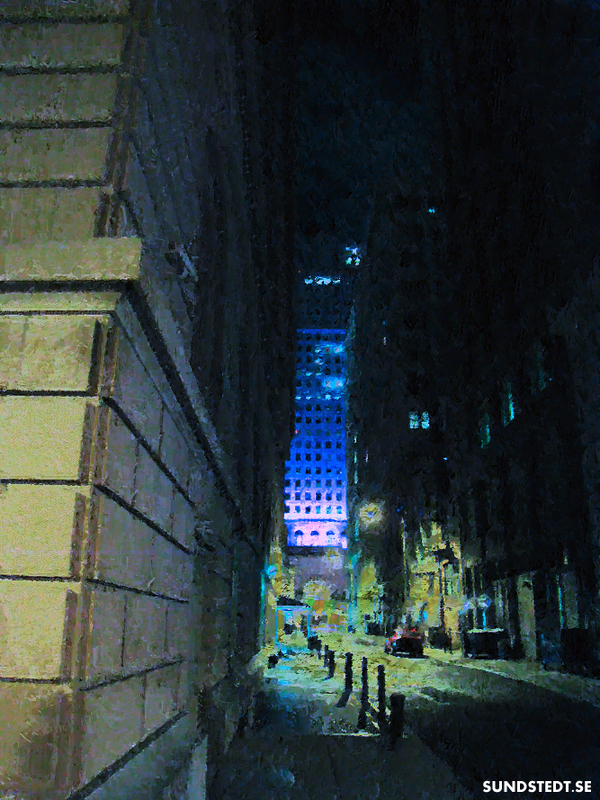 I was trying to get the mood of an environment like something out of ‘Batman’ or similar.